The Longest Reigning Monarch Commemorative Collection marks the next chapter in British history by commemorating HRH Queen Elizabeth II as she becomes the longest reigning British monarch on 9th September 2015. The commemorative Beaker features the unique design by June Branscombe, that depicts a running scroll and border pattern that have each taken inspiration from the flowers and national emblems of the United Kingdom. 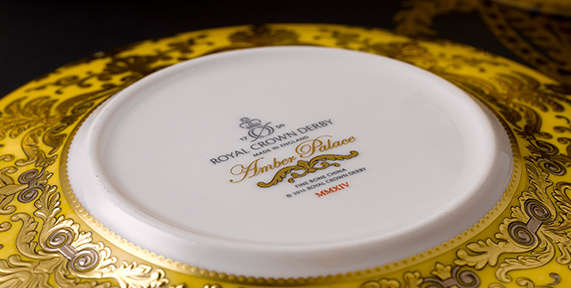 To honour the Queen's lifelong service and new historical achievement, Royal Crown Derby exclusively re-issued the original 1952 backstamp, which was used to mark her coronation on this piece.